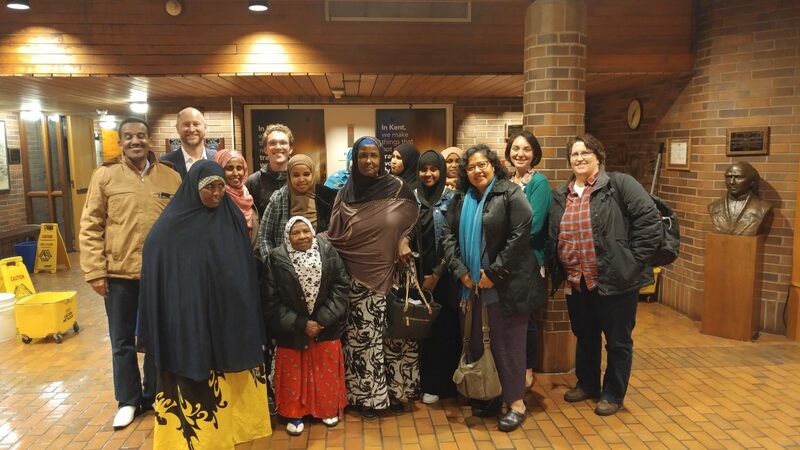 As part of our leadership of the Seattle for Everyone coalition, Futurewise led outreach meetings across Seattle in favor of the city’s new Mandatory Housing Affordability policy. We mobilized individuals and groups to submit over 300 testimonies in favor of MHA legislation, demonstrating community support for the policy. For the past 18 months Futurewise provided feedback, policy advice, and worked closely with Sound Transit Board members to craft a policy that will set our region apart in developing eTOD across Sound Transit owned properties. The resulting policy recognizes the important connection between land use and transportation by requiring a process in which property will be offered to nonprofit housing developers or other affordable housing developers at a discount, and in some cases at no cost to develop affordable housing. Futurewise identified inconsistencies in the Pierce County Comprehensive Plan that made farmland vulnerable to rezoning and development. Futurewise appealed the plan to a state agency, then worked directly with local partners, community members, and county councilmembers to draft a final policy that balances stakeholder needs. 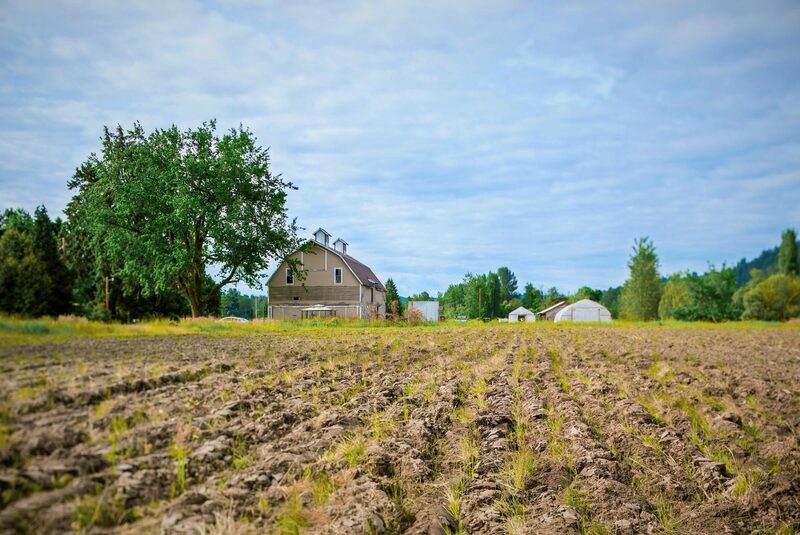 The new policies approved by the Pierce County Council will designated over 22,000 acres of protected farmland and include policies to better protect working farms. The tragic 2014 Oso landslide that killed 43 people sparked a discussion about proper planning and designation of geologically hazardous areas. Futurewise saw a unique opportunity to reform our geo-hazard regulations – stepping in where elected officials have refused to step up – and protect residents across Washington state by appealing Spokane and Snohomish County’s geo-hazard regulations. As we saw clearly in Oso, landslides are dangerous places to build – both at the top and toe of hazardous slopes – and not building in adequate protections can result in damage to the environment and even the loss of lives. Futurewise filed an appeal of the Benton County Comprehensive Plan on the grounds that sprawling development is unsustainable in rural areas without adequate planning for drinking water. This appeal will be the first to address the applicability of the State Legislature’s so-called Hirst fix bill (SB 6091) to planning for growth in the Yakima River basin. Analysis by the State and other sources show that throughout Benton County, all the water is already allocated, and more water withdrawals will harm fish and wildlife, and lead to unpredictability for rural home owners and developers. Grow with Algona is a partnership among Futurewise, the City of Algona and the Algona Public Awareness Action Coalition to educate local residents about groundwater contamination and teach responsible environmental stewardship practices. Along with the City of Algona, we led the creation of a community garden with 10 raised beds, a garden shed and water access. Grow with Algona is also working with the schools to involve kids in growing plants and learning about healthy environment and community. Onerous requirements to build parking in dense urban areas are not only a major obstacle to expanding the stock of affordable housing but also perpetuate a car-dominated culture that contributes to greenhouse gas emissions. Futurewise believes that building dense, walkable and affordable urban areas is one of our top strategies to fight climate change and protect against urban sprawl. We worked in Seattle and Spokane to pass parking reform legislation that removes certain parking requirements in dense and transit-served neighborhoods. In both cities, this new legislation will make it easier and more affordable to build new housing. 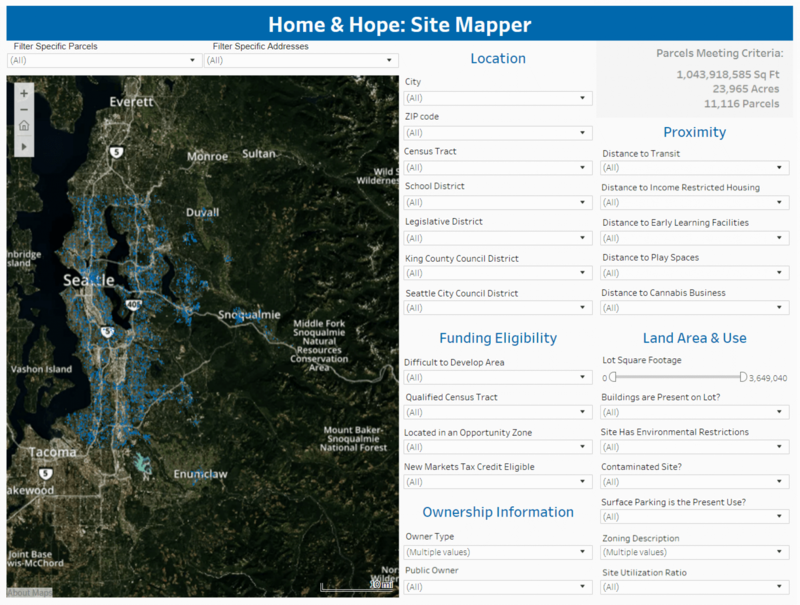 Futurewise unveiled the beta version of the Home & Home Site Mapping Tool, an online resource to filter public lands in King County based on suitability for development for affordable housing or early childhood learning centers. Futurewise provided technical support to Enterprise Community Partners in developing the tool. The tool will enable local residents to identify appropriate sites for new affordable housing or early childhood learning centers and facilitate advocacy for their construction. In the Tri-Cities, a group of local leaders are considering a plan to “reconvey” federally owned Columbia River property to local governments – a plan that could expose thousands of acres of public shoreline to private development. We convened a coalition of environmentalists, tribes and Latino community leaders to push for more community education and engagement on the reconveyance plan. Advocacy from Futurewise ensured that inclusionary zoning requirements for new development were included in the Tacoma Mall Subarea Plan. The plan is an innovative example of smart urban growth, including increases in transportation access, implementation of affordable housing incentives, and promotion of resident and environment health by encouraging green infrastructure. The plan requires developers of 15+ units to build 10% affordable for households who earn 50% of the area median income (incentives include height bonuses, reduced parking requirements, and multi-family tax exemptions). 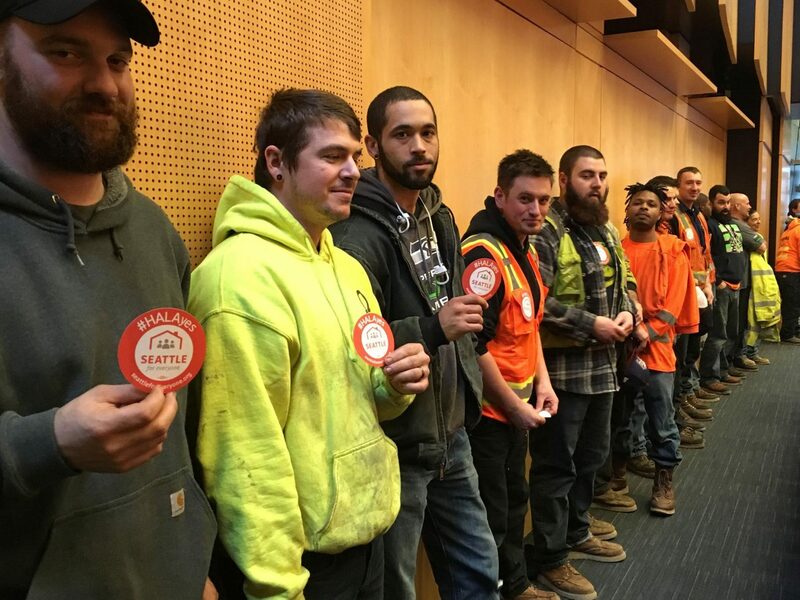 Futurewise partnered with Living Well Kent, a local community organization, to draft the Rental Housing Inspection Ordinance which the Kent City Council unanimously adopted in May 2018. The ordinance establishes a proactive system for ensuring that rental housing owners maintain their properties and provide healthy and safe living environments to their tenants. Futurewise and Living Well Kent hosted a series of community forum events throughout the summer of 2017 and over 180 participants shared their experiences with rental housing. The stories and data collected at these events formed a body of knowledge which served as the foundation for the new rental inspection policy.